Best Chinese Knives: Bean Clone Knife Review - Good EDC keychain tool! Bean Clone Knife Review - Good EDC keychain tool! So, I received this knife a few days ago, and would like to tell you my experience with it. The knife came in a plain white cardboard box. No flaws out of the box, but it wasn't lubed, so the action was a bit stiff. (Not necessarily a flaw, as I prefer it to arrive dry, than to have a wrong lube). Also, the knife wasn't sharp enough (fixed that by stropping it). - The Good - Very good execution. The detent is very strong (which is needed for this kind of knife), so the knife fixates very well in the open and close positions. The stone-wash finish on the blade and the handle is great and fits the key-chain purpose (won't show scratches). The action is good, after you adjust to the unique flipper tab and deploys pretty fast every time. - The Great - The design and style. The key-chain EDC segment often gets neglected by knife companies and designers and this is a good example of a well designed good looking small knife, that will fit great along with your keys. It will also be legal in countries, that don't allow locking blades (like the UK knife laws) and could be opened discreetly in a 2-step action using the thumb. If you connect it to your keys, they can serve as a comfortable lanyard for better grip. - The Bad - This isn't a fidget knife (a knife that you love to play with - open and close in the hand multiple times). As I've said, the detent is very strong and the flipper tab has a unique pointy shape, so playing with this knife can result with an unpleasant feeling in your finger. Another thing is the pivot structure. The knife has very tiny ball bearings, which IMO are completely unnecessary, as they don't contribute to the smoothness and the same action could be achieved with bronze washers. - The Ugly - The knife's blade stopper pin wasn't locktighted on my piece and came loose after I flipped it a few dozen times, which is a safety issue, so if you get this knife, check if it's locked and if not - apply locktite ASAP. Also, the blade steel mark says S35VN (I highly doubt that, and suspect it is 9Cr18MoV, which again, is more than OK for this tiny knife), and even if it is true - that is a bit overkill for this type of a small knife. 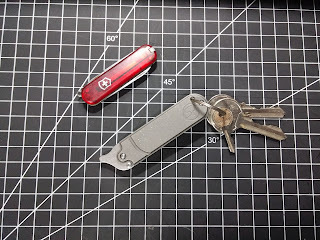 The Verdict: This is an ad-hock EDC key-chain knife, don't expect it to be much more than that, don't torture test it and expect it to cut like a light saber. (for that, do yourself a favor and get the Green Thorn F95). 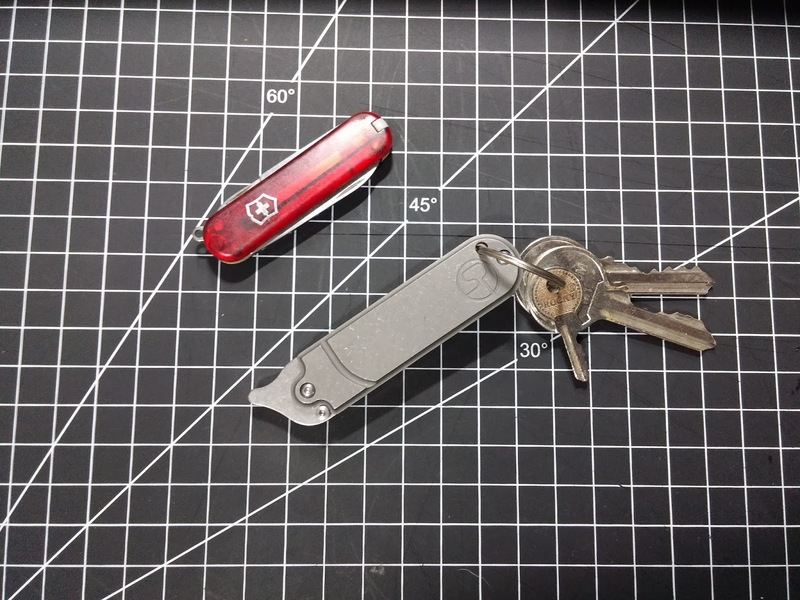 But if you fix the issues (strop it and locktite the blade pin) and put it beside your keys - it will serve you well, open any package, fulfill most EDC tasks a key-chain knife needs to perform and will look awesome. It has already replaced the SAK Classic SD on mine. Anywhere to buy that bean flipper that isn't aliexpress? I don't really want to put my cc info there and they don't do paypal... Thanks! Sorry, no PayPal option to buy this knife as far as I know. If I'll see one - I'll update. Btw, AliExpress is pretty safe, ordered most of my knives from there and never had a problem. If you want, I could help you with that by ordering the knife for you from AliExpress and you will pay me back by PayPal. I just got the Bean cleaver from aliexpress in literally 6 days and shipped free. It's 28 bucks and it's a awesome flipper for that price. Awesome man, happy for you! Beautiful EDC and very well made ! I Like to trade my Original CASE sway back damascus in Box for two different models this Bean Clone knives if is somebody interested and Sway Back cost more but this is not important !